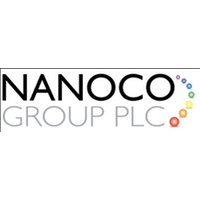 The trading price for Nanoco Group PLC EPIC code: LON:NANO has risen 4.05% or 1.5 points throughout today’s trading session so far. Investors have remained positive during the session. Range high for the period so far is 38.5 and a low of 37. The total volume of shares traded by this point was 44,850 whilst the average number of shares exchanged is 448,854. The 52 week high for the shares is 49.95 amounting to 12.95 points different to the previous business close and a 52 week low sitting at 23 making a difference of 14 points. Nanoco Group PLC now has a 20 moving average of 40.78 and the 50 day moving average now at 40.24. The market capitalisation currently stands at £110.08m at the time of this report. The currency for this stock is GBX. Market cap is measured in GBP. This article was written with the last trade for Nanoco Group PLC being recorded at Wednesday, December 19, 2018 at 11:59:25 AM GMT with the stock price trading at 38.5 GBX. Shares of Centrica PLC with ticker code: LON:CNA has increased 1.73% or 2.3 points during today’s session so far. Investors are a positive bunch throughout the trading session. The periods high has already touched 135.3 dipping to 132.55. The total volume traded so far comes to 2,777,524 with the daily average traded share volume around 36,872,680. The 52 week high is 164.5 some 31.5 points in difference to the previous days close of business and a 52 week low sitting at 123.1 making a difference of 9.90 points. Centrica PLC now has a 20 moving average of 138.28 and now its 50 day simple moving average now of 145.47. Market capitalisation is now £7,707.20m at the time of this report. The share price is in GBX. Mcap is measured in GBP. This article was written with the last trade for Centrica PLC being recorded at Wednesday, December 19, 2018 at 12:02:24 PM GMT with the stock price trading at 135.3 GBX. Shares of Halma plc with ticker code: LON:HLMA has risen 1.08% or 14 points throughout the session so far. Investors have remained optimistic during the session. The period high was 1315 dipping to 1287. Volume total for shares traded during this period was 195,891 while the average shares exchanged is 1,088,921. The stock 52 week high is 1507.97 which comes in at 206.97 points in difference to the previous days close of business and a 52 week low sitting at 1136 a difference of some 165 points. Halma plc now has a 20 SMA of 1347.85 and now its 50 day moving average now at 1333.4. The market capitalisation is now £4,992.34m at the time of this report. The currency for this stock is GBX. Market cap is measured in GBP. This article was written with the last trade for Halma plc being recorded at Wednesday, December 19, 2018 at 12:02:02 PM GMT with the stock price trading at 1315 GBX. Shares of Hargreaves Lansdown PLC found using EPIC: LON:HL has gained 1.34% or 24 points in today’s trading session so far. Buyers seem confident during the trading session. The high for the period has reached 1810 meanwhile the session low reached 1776.5. Volume total for shares traded at this point reached 124,665 with the daily average number around 1,069,684. A 52 week share price high is 2280 amounting to 495.5 points different to the previous business close and a 52 week low sitting at 1594 making a difference of 190.5 points. Hargreaves Lansdown PLC has a 20 day moving average of 1895.1 and a 50 day SMA of 1884.49. Market capitalisation for the company is £8,578.05m at the time of this report. The share price is in Great British pence. Mcap is measured in GBP. This article was written with the last trade for Hargreaves Lansdown PLC being recorded at Wednesday, December 19, 2018 at 12:03:08 PM GMT with the stock price trading at 1808.5 GBX. The trading price for International Consolidated Airlns Grp SA with EPIC code: LON:IAG has moved up 1.64% or 10 points in today’s trading session so far. Market buyers have stayed positive throughout the trading session. The high for the period has reached 619.88 meanwhile the session low reached 605.4. The number of shares traded by this point in time totalled 972,478 whilst the average number of shares exchanged is 7,805,406. A 52 week share price high is 727 amounting to 118.2 points different to the previous business close and a 52 week low sitting at 547 which is a difference of 61.8 points. International Consolidated Airlns Grp SA now has a 20 SMA of 630.87 and a 50 day SMA of 621.07. The current market capitalisation is £12,276.69m at the time of this report. The share price is in GBX. Mcap is measured in GBP. This article was written with the last trade for International Consolidated Airlns Grp SA being recorded at Wednesday, December 19, 2018 at 12:03:08 PM GMT with the stock price trading at 618.8 GBX. The share price for Intertek Group plc with EPIC code: LON:ITRK has moved up 1.47% or 69 points throughout the session so far. Traders have stayed positive during the trading session. The periods high has reached 4754 dropping as low as 4660. Volume total for shares traded during this period was 96,215 whilst the average number of shares exchanged is 501,309. The 52 week high for the shares is 6084 around 1404 points in difference to the previous days close of business and a 52 week low sitting at 4323 which is a difference of 357 points. Intertek Group plc has a 20 day moving average of 4728.3 and a 50 day simple moving average now at 4653.34. Market capitalisation is now £7,662.95m at the time of this report. The stock is traded in GBX. Mcap is measured in GBP. 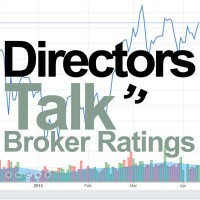 This article was written with the last trade for Intertek Group plc being recorded at Wednesday, December 19, 2018 at 12:02:03 PM GMT with the stock price trading at 4749 GBX. Click CNA HL HLMA IAG ITRK NANO for the full archive.